With more than 3.5 billion people searching online daily, will your ideal prospects be able to find your business online? Determine what people search for so can provide the solution and attract more prospects. Find out what your competitors are doing and what search phrases they use? Fill your content calendar with a year’s worth of relevant content ideas. 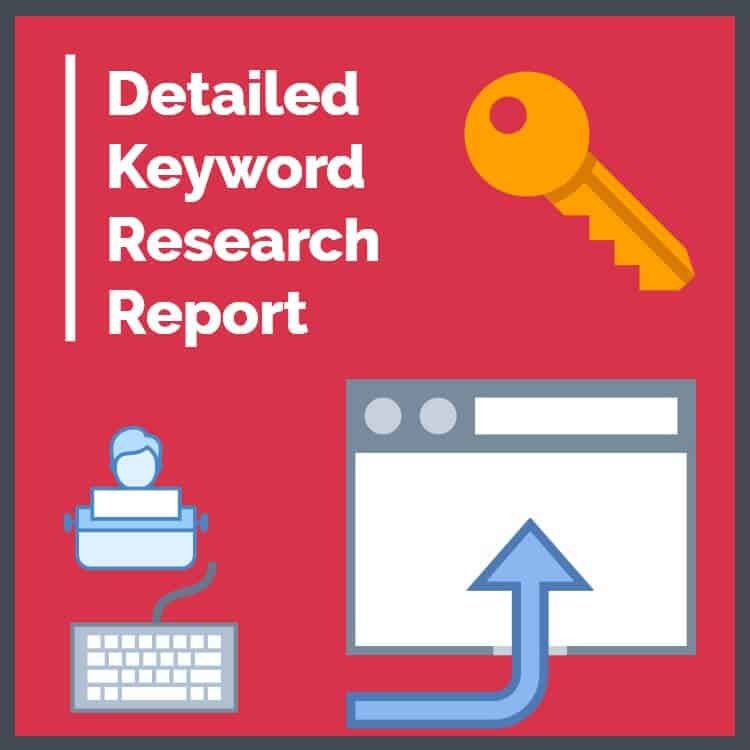 Get your detailed keywords report and start attracting more qualified prospects today. To receive organic search traffic. Why, because organic search traffic brings in highly qualified prospects. When your prospects are searching, they’re likely using one of four keyword types. Informational keywords used to look for information. Solutions to problems, answers to questions, and insight into a particular topic. Navigational keywords are used when searching for a particular website. Typing in your site, product, or brand, that’s a navigational search. Transactional keywords are used when someone is ready to convert. Commercial keywords indicate purchase intent. They are very likely to buy at this stage. It also gives you a competitive advantage. Assessing your competition will help you stay ahead in the market. Organic search is a sustainable cost-effective approach. It is evergreen and requires little maintenance. It is like having an asset online. Detailed list of keywords usually between 200-1000 depending on the size of your industry. This normally sells for $199 online. A set of popular headlines used in the industry that matches your keywords valued at $99. Type in your Email address & hit the green button to receive the Marketing Blueprint that will kickstart your marketing efforts!